Co-hosted by both The Studio, Greenhouse, and StartUp Learning Communities, Project Thrift is their version of Project Runway and it is always a blast. 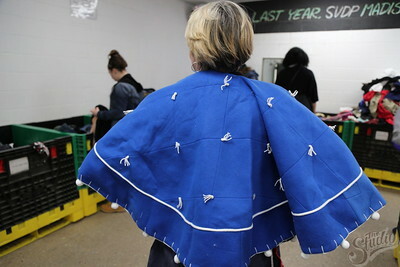 On Saturday, February 17, residents of The Studio and StartUp had the opportunity to become become fashion designers. 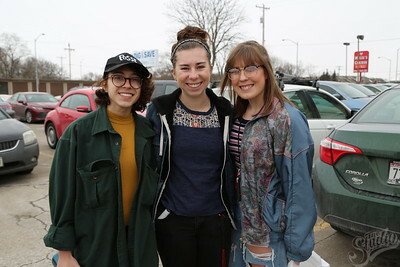 They visited a local thrift store at noon, and had only a short amount of time to pick all of the materials they needed to design a look to put on the runway. Back at Sellery Hall, designers transformed their materials and designed new, re-purposed, creative garments. The event culminated in a full-fledged fashion show at 6:30 pm where designers presented their looks. Design Professor Carolyn Kallenborn talks to students before they begin their thrifting extraganza at Dig and Save. 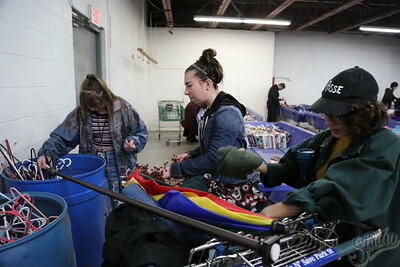 Students gather before they begin their thrifting extraganza at Dig and Save. 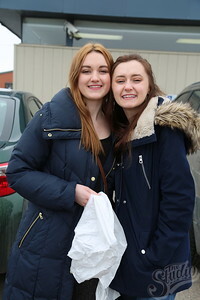 (At Right) Marina Kelly, Creative Arts Community Coordinator at Dig and Save before students begin to thrift for Project Thrift. Students and project coordinators gather before they begin the thrifting at Dig and Save for Project Thrift. Project Thrift designers from The Studio: (Left to Right) Paulina Eguino, Emma Leeper and Natalie Misalem. 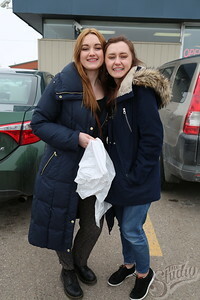 Project Thrift designers from The Greenhouse: (Left to Right) Emma Wenman and Jenna Hutchinson. Project Thrift designers from The Greenhouse: (Left to Right) Bailey Nandory and Geneva Kinzer. 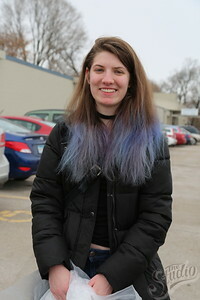 Krisi Hetchler, a Project Thrift designer from The Greenhouse Learning Community. Project Thrift participants from the StartUp Learning Community: (Left to Right) Shiyue Xie (Designer) Binnu Ponugoti (Model). 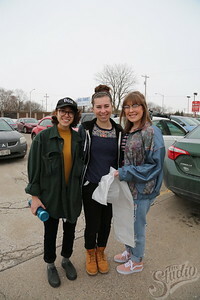 Project Thrift Participants at Dig and Save thrifting for materials to use for the 2018 Project Thrift. 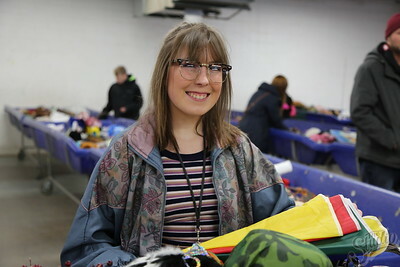 Design Professor Carolyn Kallenborn at Dig and Save thrifting for materials to use for 2018 Project Thrift. 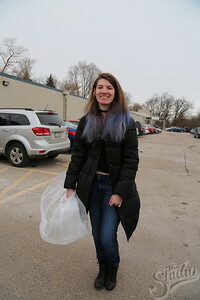 Project Thrift participant at Dig and Save thrifting for materials to use for the 2018 Project Thrift. 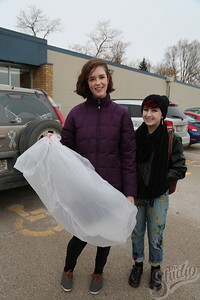 Students at Dig and Save thrifting for materials to use for 2018 Project Thrift.